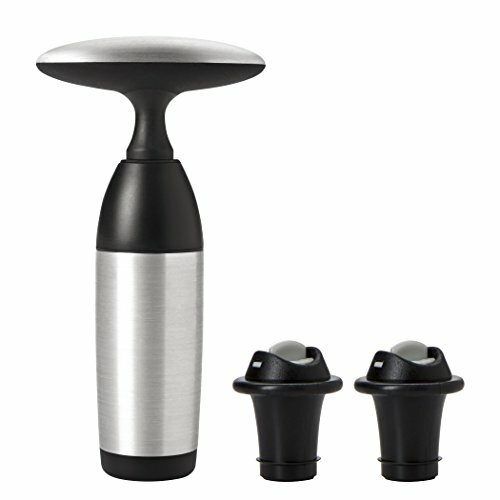 The OXO Steel Vacuum Wine Pump keeps your wine fresh longer than a traditional cork. The Pump easily extracts air from the bottle, slowing down the oxidation process that can flatten the taste of wine. The easy-to-hold, contoured neck prevents pinching while you're pumping and the soft, comfortable grips are non-slip. With just a few easy pumps, the Stoppers form a vacuum seal that preserves wine's flavors and aromas until you're ready for another glass.